We’re Giving Away $15,000 — Tell Us Your Mobile Growth Stories! Tracking growth on mobile used to be hard. My cofounders and I built Branch out of the frustration we felt from all the experiments that we kept trying to run and couldn’t. Broken links, limited tracking, no personalization, no way to understand where every app user was coming from — these were the problems we set out to solve. We want to celebrate all the app developers, marketers, and growth professionals out there who struggle to grow their user bases on mobile. We can only get better if we learn from each other, and in that spirit we are announcing the Mobile Growth Stories Challenge. Tell your story (on social media, Medium, your own blog, etc.) to let the world know how you tried something new, and we will send you an awesome basket of Mobile Growth goodies! 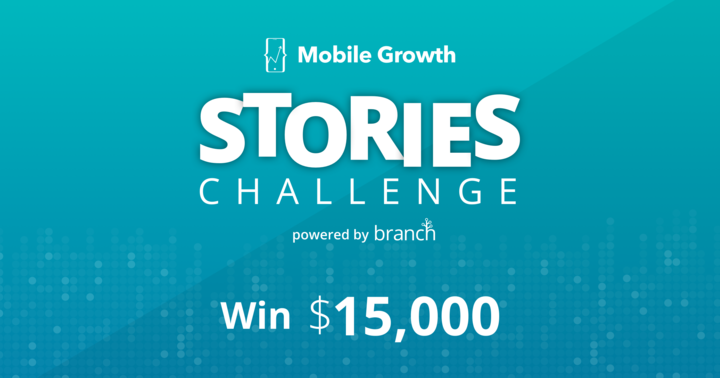 Eligible stories will also be entered to win $5000: we have one prize for a general story, one specifically for a story using Branch to drive growth, and one for a best overall story (use of Branch not required). We will also share selected stories on Facebook and Twitter, because we know every little bit of promotion helps for mobile growth. NO PURCHASE NECESSARY. Open only to legal residents of the 50 U.S. states or D.C., 18+. Contest entry period ends 11:59PM Pacific Time July 15, 2017. For Official Rules, see https://branch.io/stories-challenge/rules/.